this accessible volume, which gives an up-to-date overview of the subject. There is substantial scientific interest in these diseases: new advances in small molecule therapy are likely to be useful in the near future, and trials are already underway. Lysosomal storage disorders offer a unique platform for teaching modern clinical science, from basic genetics through to clinical applications. The first part of the book reviews and classifies our current understanding of the physiology and pathophysiology of lysosomal storage disorders. The second part of the book reviews individual diseases, and gives perspectives from patients and experts looking towards future therapeutic directions. 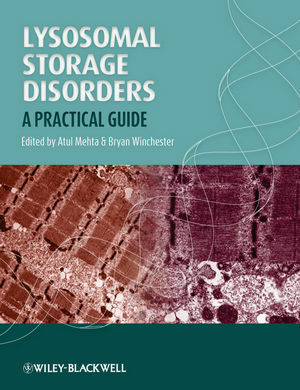 Lysosomal Storage Disorders: A Practical Guide is the ideal guide for a wide audience including scientists, clinicians, health care workers and administrators, those working in the pharmaceutical industry, patients and their organisations.